Relax, nerds… you’re allowed to listen to our webinar on cut resistance. Listen to The No Nerds Allowed Webinar Now! When we say ‘no nerds allowed,’ we mean ourselves, as presenters. Working in the safety business, you learn to eat, breathe and sleep safety. Sometimes that means that you get a little too excited talking about testing methods and engineered yarns. So when Michael Johannesson and I got together to develop this webinar, we made a sacred pact… We would suppress our nerdy glove-loving vocabulary and provide information that glove wearers actually want to know. We’ve included a recording of the webinar as well as the top takeaways from the presentation. There’s a standard for everything — from toilet bowl seats to steel rivets — and the cut resistance of glove is no different. In 2016, the standards that measure the cut resistance of protective clothing were updated. The most notable change was that the levels of cut resistance increased from 5 levels to 9 levels. There was confusion in the old levels of cut resistance, particularly in the range for level 4 — 1,500 grams to 3,499 grams of cut protection. Under the new standard, that’s divided between level A4, A5 and A6. That means that you could have two level 4 gloves, one at the bottom of the range and one at the top of the range but, on paper, they would be considered to give you the same level of cut resistance. Just because the glove exists doesn’t mean that you need it. There are industries, like pulp & paper, where the cut hazards are so extreme that a glove with a level A9 rating is needed. But before jumping right to the highest level of cut protection, look at your workplace, consider the factors that are involved and really consider if it’s necessary. If you aren’t sure of how to start, use an A4 rated glove as your benchmark. 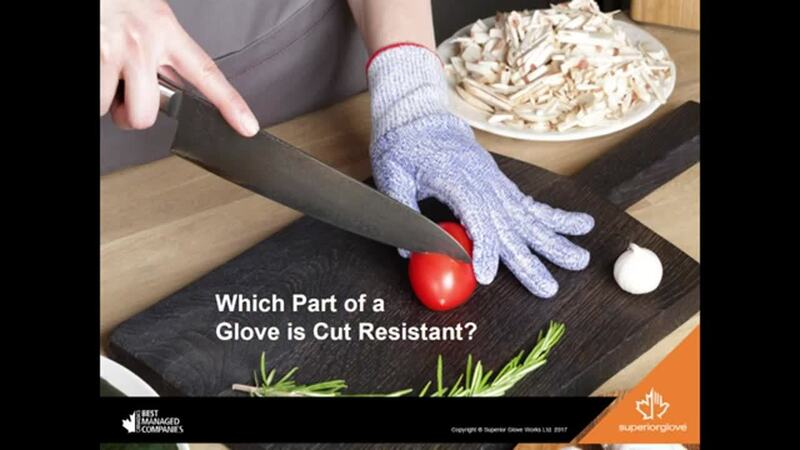 3) What Makes a Glove Cut Resistant? 98% of the gloves on the market use at least one of these two fibers. Both materials have similar cut-resistant properties, so choosing the fiber that is best for you comes down to the specific job you’re doing. What Else Will the No Nerds Allowed Webinar Teach You? The No Nerds Allowed Webinar also featured a question and answer period for any additional questions that viewers had. Want More Information for Choosing Gloves?